One Momma Saving Money: Great deal on Gel Pens! Great deal on Gel Pens! 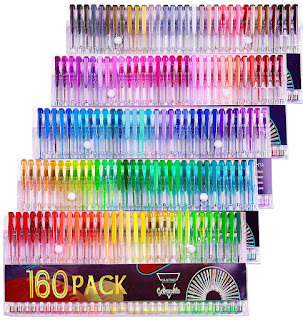 My tween is obsessed with Gel Pens and this is an amazing deal. Normally you pay $3-5 for a small pack! 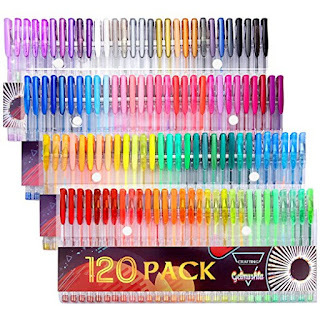 Gelmushta Gel Pens 120 Unique Colors (No Duplicates) Set for Adult Coloring Books Drawing with Case only $14.44 & FREE Shipping on orders over $25. 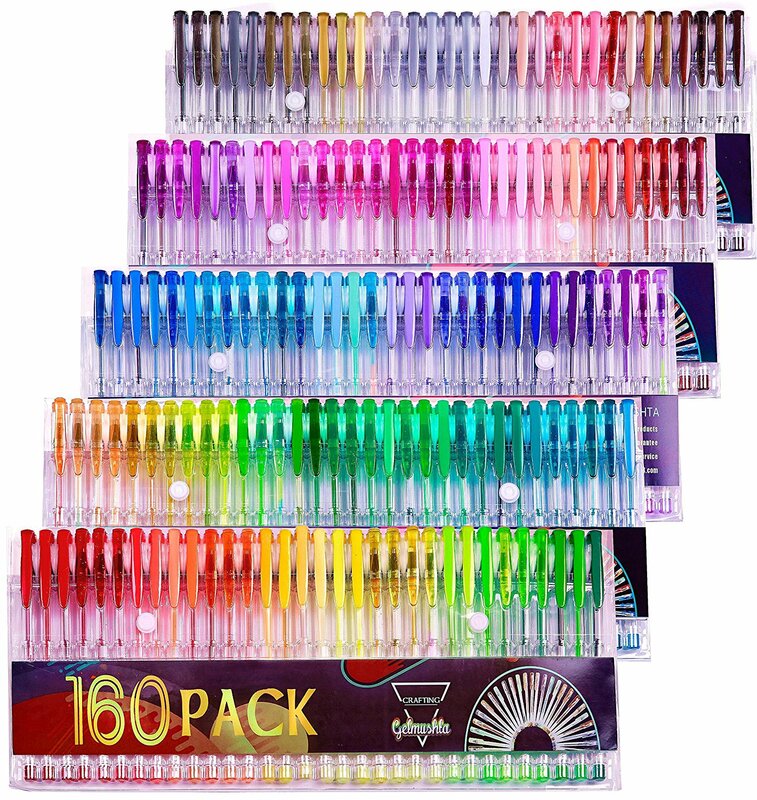 Gelmushta Gel Pens 160 Unique Colors (No Duplicates) Set for Adult Coloring Books Drawing with Case only $16.14 & FREE Shipping on orders over $25. 160 VARIOUS COLOR - Vibrant Colors of 8 Variety Styles, No Duplicates, Perfect for Drawings, Sketching, Doodling, Scrapbooking, and Invitations. SUPER QUALITY GEL PEN SET - Non-Toxic, Acid Free, Suit for All Ages, Fun and Safe Gift Choice. Fine Durable Tips, Struggle-free Smooth Coloring. LONGER SMOOTH PEN INK - Longer Pen Ink Ensures Longer Using Time, Smooth Flow of Ink and Faster Dry Guarantee No-Smear Wonderful Coloring Experience. CONVENIENT PACKAGE FOR STORAGE - Fold-able Case with Useful Snap Buttons, Easy to Store in Shelves or Backpacks, Easy to Choose the Color You Want. MONEY BACK GUARANTEE - If You Have Any Problems or Our Products Doesn't Meet Your Satisfaction, Please Contact Us.